At 2:10 am Moscow time on May 9, 1945, the sonorous, measured voice of radio announcer Yuri Levitan declared: “Germany has been entirely vanquished.” The final treaty had been signed in Berlin. At first, figures tentatively emerged into the balmy Moscow morning, some in pajamas, others in suits. By evening, Red Square was heaving – people dancing, kissing and laughing, fireworks flashing above. However, the festivities did not obscure the costs: In the Soviet Union, at least 27 million people had been killed (out of a total of 55 million fatalities in WWII), while many cities, towns and villages lay in ruins. After the iconic parade in June, there were no celebratory marches for two decades. Yet the Great Patriotic War, which started for the Soviets in 1941, united the entire nation and remains a centerpiece of Russia’s consciousness. Soviet leader Joseph Stalin knew a showdown with Nazi Germany looking for “Lebensraum” (living space) in the East was inevitable, but the timing of the German invasion on June 22 was a shock. A force of more than 3.6 million troops and over 3,000 tanks and 2,700 aircraft crossed the border during Operation Barbarossa. 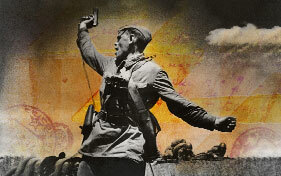 Within a fortnight, 300,000 Red Army soldiers were captured, and 2,500 tanks and 250 of their aircraft were taken out. Yet the Blitzkrieg failed to bring the Soviet Union to its knees. 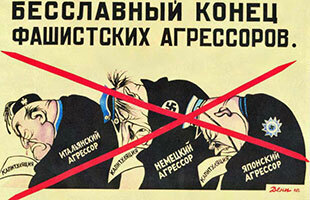 Unlike Western Europeans, the Russian “Untermensch” (inferior people) were fighting a battle for their very existence. It turned vicious, and resistance was “pugnacious.” By early autumn, it was obvious that Germany was locked in a war of attrition against a formidable enemy, deep into hostile territory, with its battle lines stretched. 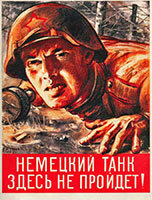 The USSR evacuated its industrial plants and started regrouping its forces. And then winter came. 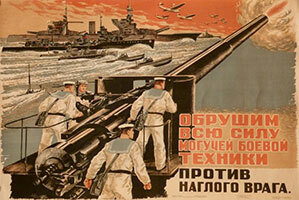 Key Battle: Defense of Moscow. Numerically it was victory for the Wehrmacht, but actually marked a strategic turning point for the Soviets. 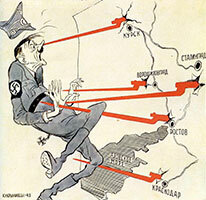 Not only did the Soviet capital hold, but the Red Army rapidly counter-attacked the ravaged German army, pushing it back, which provoked an enraged Hitler to sack his top command. After repelling the Germans outside Moscow, Stalin ordered an overreaching counter-offensive for the still depleted and under-equipped Red Army, which petered out at a cost of millions of lives. 400,000 died as the Russians threw brute force into the ‘Rzhev Meat-Grinder,’ in several separate operations that wore down both sides, but still ensured German withdrawal. This eliminated the threat to Moscow and tied down the forces that may have been used to relieve Germany’s forces at Stalingrad. As both sides reinforced their positions, time was working against Germany, which was not just falling behind in manpower, but running low on oil. Emboldened by the spring successes, Hitler now ordered Case Blau, an incursion into the Soviets’ oil-producing Caucasus that would, it was hoped, in one fell swoop stop the Soviet tanks and empower the German Panzers. Yet Grozny and Baku were far off, and even before Hitler could reach them, he got distracted by the key hub of Stalingrad. His forces were too spread-out, and he was doomed for a fall. 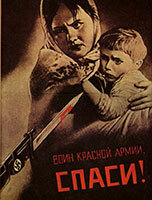 Key Battle: Stalingrad. A five-month citywide street fight, with air support and heavy artillery, resulted in the encirclement and surrender of Germany’s once-mighty 6th Army. By July 1943, the Soviet industrial machine was now outperforming Germany and its allies in almost every key metric. Italy was wavering and the fresh and well-resourced US forces were about to land in Europe for the first time. Germany needed to gamble, even if only to delay an inevitable defeat. The Nazi high command abandoned the “illusion of conquering the Soviet Union,” and yet the majority of German soldiers and equipment was still on the Eastern Front. Any decisive victory would have to take place here against the Soviets, but after two years of bitter fighting the two sets of generals knew each other well – there would be no more blunders, or surprise attacks. Taken in by fantasies of another encirclement, Hitler ordered Unternehmen Zitadelle, an attack against the Kursk bulge. The Russians knew the exact whereabouts of the attack, and the key area was described as “the most fortified piece of land in military history.” The outnumbered Germans failed to make any headway. For the rest of the war, they would not mount another major offensive. 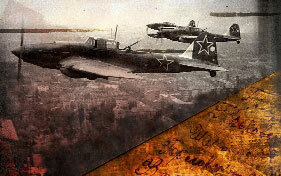 Key Battle: Kursk. Nearly 3 million soldiers, 8,000 tanks, more than 5,000 planes and 1 million mines set the stage for the biggest battle of the war. The Germans made a determined advance, but the Soviets re-took every hill they lost, and were about to go on the attack with their deadly Katyushas and JS-2 tanks, named after Stalin himself. However, with US troops landing in Sicily, Hitler called off the push, and did not let it play out to its bloody end, while the Soviets gained a platform from which to strike back. 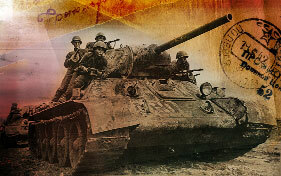 The Red Army inflicted one devastating defeat after another upon the retreating Wehrmacht corps. In the 18 months following the Battle of Kursk, the Soviets pushed from Oryol and Rostov within its borders, through Ukraine, Romania, Belarus and Poland, ending up in Germany by December 1944. The Soviet strategic command, the Stavka, now possessed several distinct advantages over its adversary. With industry running at full pelt, and with Studebaker trucks delivered by US allies, its army was now mobile and capable of striking at any enemy weakness rapidly and with overwhelming force. Its deep commitment to the technique of Maskirovka, or “camouflage”, involved thousands of dummy units, entire armies moving just to confuse the enemy, and a real operational plan that was known by only a handful of people, as even top generals were not sure if they were about to attack or just divert attention. And finally, it also involved the manpower of millions of soldiers ready to sacrifice their lives. Key Battle: Operation Bagratyon. Named after a Napoleon-era general, and coinciding with the D-Day landings, it took the Germans entirely by surprise and destroyed the bulk of the remaining German army on the Eastern Front: present-day Belarus, the Baltic States, Ukraine and eastern Poland. Essentially, the war was won, and now it was a race to Berlin between Russia and the Western allies. 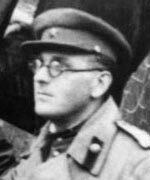 Advances were rapidly achieved, but with relatively high loss of life among soldiers who had managed to survive nearly the entire war. The year was filled with some of the most heartening episodes of the entire global conflict: The liberation of Auschwitz and other concentration camps, the routing of Nazis from Eastern Europe, the collapse of the Third Reich, and the end of the bloodiest conflict in history. Key Battle: Berlin. Hunkered down in his bunker, Adolf Hitler knew his death was imminent, but consigned hundreds of thousands of his countrymen to the same fate, ordering them to fight, as more than a million Soviet troops surrounded the German capital. Only after his suicide, did his generals dare to capitulate. The German Instrument of Surrender took effect on May 8 at 23:01 CET. 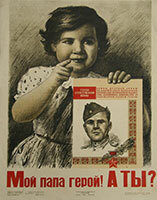 As this came after midnight Moscow time, May 9 was proclaimed Victory Day in the USSR. The Eastern Front stretched for 1,400 kilometers, from the Arctic Circle in the North, to Crimea in the South, and flashpoints changed all through the war as the two adversaries probed each other and fought over the same increasingly devastated territory. This heatmap shows the major battles of the four-year conflict, beginning with the German advance in the first year, the consolidation, and the pushback by the Soviets in the final two years of WWII. World War II had a devastating effect on the personal histories of immense numbers of people. In Russia, more than three million war veterans are alive today. Their ranks are dwindling, but firsthand memories are recorded and endure without the gloss of mythology and time. 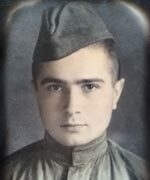 Personal photos of grandfathers and grandmothers, of great-grandparents, who went through the war, be it on battlefields or the home front, tell stories worth more than entire volumes of encyclopedias. Letters exchanged between families and friends are redolent of the voices of soldiers and those waiting for them. I want to hug and kiss you for the last time. I hurry to answer you, to let you know that I am alive and well, whole, and unharmed. We are all well, hoping to hear the same from you. Didn't get any mail from you 3 weeks. My darlings Nina and Elya! On August 24, we reached Ryazan and will be in Moscow later tonight. The enemy is very close. Dear Viktor, Mom and Grandma! I just finished writing you a V-Mail, but it seems I had something else to say, so I attempt this air mail. We’ve recently been studying Polish customers, talking to many Poles. They are very friendly to us. Lidia Romanova was only six years old when the war broke out. 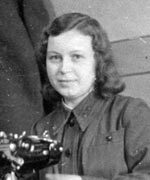 During the 872-day of the Siege of Leningrad by the Nazi’s, she lost her father, a sister and two brothers. 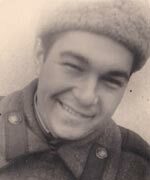 Gunner Mark Ivanikhin marched at the now symbolic November 7 parade on Red Square in 1941. 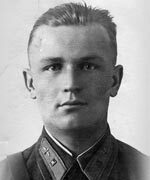 He and thousands of other soldiers then headed to the front-line to defend Moscow from the invading Nazi forces. 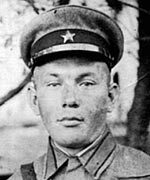 Anatoly Kozlov joined the Red Army at the age of 20 and served in the infantry. 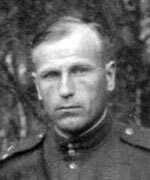 He fought in the Battles of Kursk and Stalingrad, one of the bloodiest theaters of combat in human history. 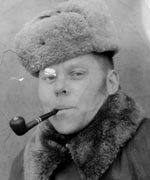 Ivan Kirilkin was a gunner during the war. 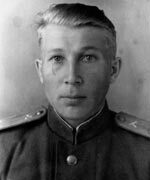 He took part in the Kursk battle in the summer of 1943, when he was 21. Together with Aleksey Grudinkin, a machine gunner, who was 18 years old at that time, and other Soviet soldiers they pushed back the Nazi troops from Kursk. It was the last major offensive by the German army on the Eastern Front. 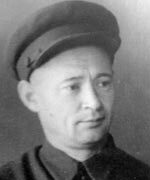 Yakov Reznik joined the Red Army when he was 18. Now he is currently in Berlin. He walks near Reichstag and recalls the days, when his 3rd Ukrainian front liberated Romania, Hungary, Yugoslavia and Austria from Nazi Germany. Originally a nine-minute address to the people of the Soviet Union by the then Minister of Foreign Affairs Vyacheslav Molotov, the announcement of the war was made via radio on June 22, 1941. The renowned radio broadcaster Yuri Levitan recorded a shorter version of the speech. Levitan made over 2,000 summary reports during the war. These broadcasts were not recorded at that time. In the 1950’s, Levitan finally decided to record his messages, “for historical” purposes. Joseph Stalin first addressed the nation regarding the war on July 3, 1941. 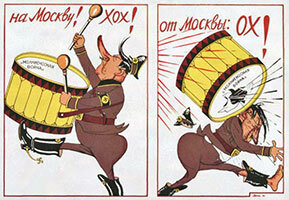 The message broadcasted on the state radio was also published in the Pravda newspaper on the same day, and later re-released separately as a booklet. 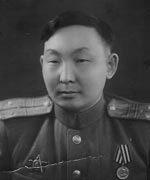 The fact that Stalin did not personally announce the start of the war on June 22 caused some controversy in the country. Molotov would later explain that Stalin did not want to break the news, not eager to state his position immediately, as a lot of things were unclear at the moment. 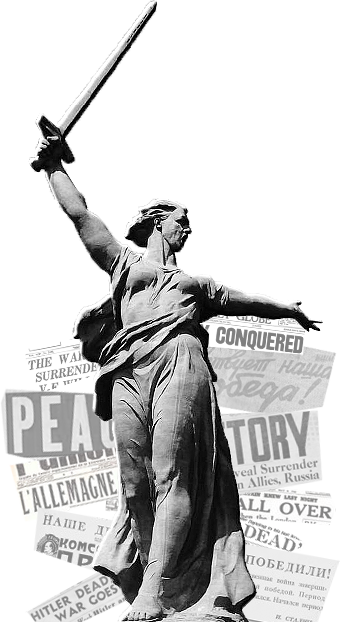 The announcement of the country's victory in the war was delivered on May 9, 1945. Levitan first read the news about Nazi Germany's unconditional surrender in the early morning and was asked to go to the Kremlin in the evening. There he was given the text of Stalin's message on the victory - Levitan was to read it on air just 30 minutes ahead of the fireworks. The broadcaster later said he feared he would not make it to the studio on time. There were so many people gathered in Red Square in anticipation of the news that he couldn’t get through the crowds. Levitan then remembered Stalin had a personal radio room in the Kremlin, so he rushed there. © 2005-2015, All rights reserved.